There’s going to be a lot of stuff written about Agents of SHIELD over the next few months. Anything which isn’t banal ratings speculation should be pretty interesting because there’s a lot to chew on in there. Not only do you get the sensibilities and plot beats of Marvel movies transferred to the small screen, but a bunch of really interesting stuff about large scale intelligence agencies and their role in modern society as well as superheroes, a flying car and Clark Gregg’s completely beguiling screen presence. He’s talked about how Coulson has been slightly different every time he’s played him and this time the overwhelming sense you get from Phil is…calm. He’s an extraordinarily gentle, disarmingly honest man who raises his voice precisely once in the entire episode and that’s when he’s told someone’s life can’t be saved. That’s a really interesting beat that we’ll get back to. The emphasis there is my own because that phrase is where Agents of SHIELD, and the SHIELD agents in its cast, live. This is a show that’s a direct sequel to Avengers Assemble and explores the almost primal shock that the events in that movie caused. The finale, where a hole in space is ripped open and alien soldiers attack and destroy a sizable portion of New York, is one of those events that exists as a full stop in global and personal history. It’s the effect the Battle of New York has on individuals that the show focuses on. Coulson, May and Skye in particular seem to have had their lives changed completely by New York and its aftermath. Phil Coulson, we’re told, died for a short period of time. May, a legendary field agent, demanded to be taken off the line and Skye had something unutterably horrible happen to her that drove her to erase her digital existence. In comparison, Ward’s problems with authority and the Fitzsimmons’ gestalts’ innocent glee at the toys they have to play with seem positively light and airy. It’s also interesting that all three of them seem to have their attention elsewhere. Ward clearly has family issues that look set to power later episodes, whilst Fitz and Simmons live in the rarefied atmosphere of theoretical science and don’t quite see the world the same way everyone else does. They’re innocents in a world that has lost that quality and I suspect the show is going to mine a lot of drama from the points where they lose that innocence. In four seasons, Torchwood went from the ridiculous to the politically charged and it never, once fulfilled that promise. We never saw the world change, and still haven’t, in contemporary Doctor Who as a whole despite the theft of the planet, multiple invasions and global events like the 456 arriving. Each time the world has shrugged it off and gone back about their business and each time the universe has creaked a little more. It’s what Who has to do and the strain isn’t anywhere near as bad as it was a few years ago, but it’s still there. The world should change, Jack’s told us it was going to and yet it never quite does. Agents of SHIELD starts with that change having already happened and runs headlong towards its consequences. Even better, it does so with absolutely the last thing you’d expect a show like this to have at its core; compassion. That comes entirely from Phil Coulson, a man who openly talks about the price he paid for doing his job and yet does it anyway. Even better he does it with none of the angst of May or Ward and in a significantly more grounded way than the Fitzsimmons gestalt. 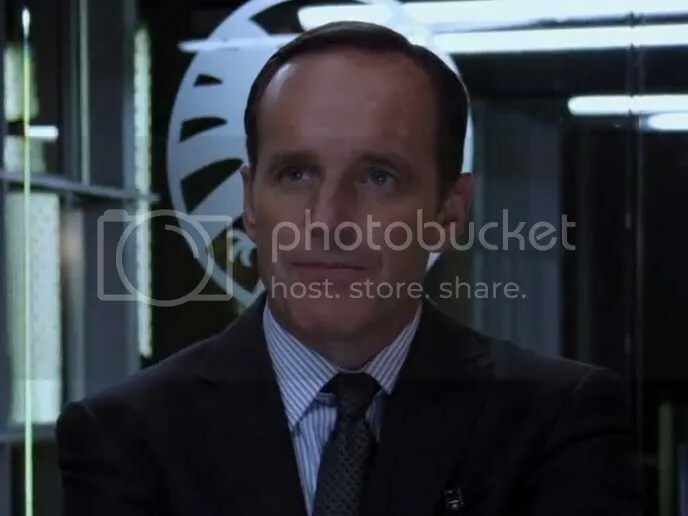 Phil Coulson has paid the ultimate price to do what he does. He’s lost everything and that gives him both distance and engagement. The distance is shown through his playful, almost stream of consciousness dialogue and the fact everyone is carefully not talking about how Phil has been excised from his old life. This, again, is one of the show’s engines starting to gun and there are already plenty of hints as to what happened to him. My two favorite theories are that he’s a Life Model Decoy of the original Phil Coulson and that he’s been resurrected by magic (As Brendon Connelly points out, listen to the way he uses the same phrase to describe Tahiti both times he’s asked about his rehab). The engagement is far and away the more interesting trait though. Coulson is completely honest without being remotely confrontational and the empathy that implies is clearly on display here. He’s a man who loves his work but knows its price viscerally. The moment where he shouts at Fitzsimmons isn’t anger at them it’s anger at their thinking. There’s always a way to save a life, always a way to do the right thing and anything less is lazy thinking. It’d be powerful enough coming from pre-Avengers Assemble Coulson, all polite, shy demeanor and relentless competence. Post- Avengers Assemble it plays very differently; as a man whose seen the impossible, and may be impossible himself, refusing to let anyone get left behind. The singularity is here and Phil Coulson will make sure it’s standing room only. That speaks to SHIELD’s new found mission, or at least Phil Coulson’s version of it; Help us make it through the transition, give the new heroes every chance, find a third way. It also speaks to the sense of wonder running through the show, especially in those final moments. Fitzsimmons’ work is vindicated, May is shown that field ops don’t always have to end badly, Skye is shown SHIELD aren’t the bad guys and Ward is shown he’s more than just a killer. 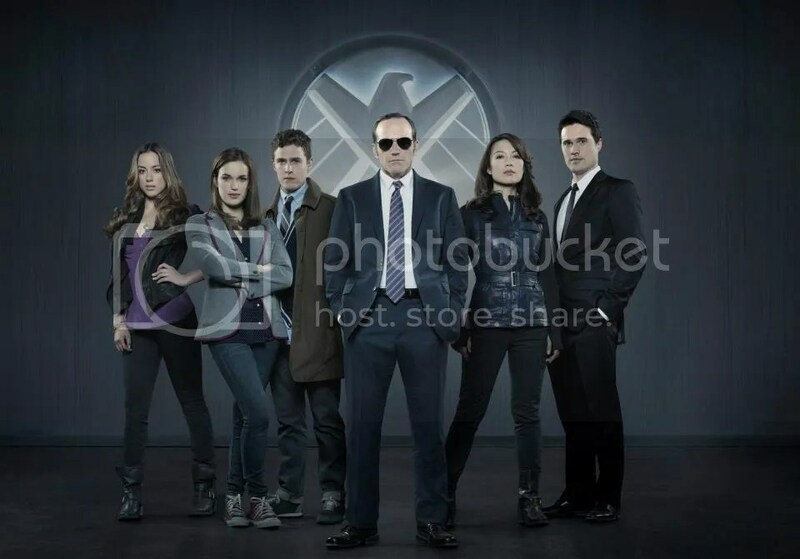 Each one is shown just how strange their lives can be as they orbit the polite, unflappable Phil Coulson. It’s a strange world, and now they all have reasons to fight to keep it that way. The last thing it reminded me of is The West Wing. There’s the same sense of idealism in the face of crushing opposition and the same feeling of quiet triumph when something goes right. Most of all though there’s the same enthusiasm and drive, all summed up in two words. Said one way they’re a plea, a defensive whine. Said another, they’re a mission statement. Coulson has no idea. Neither do we. We’ll find out together, and I can’t wait. Agents of SHIELD is airing now in the UK on Friday nights at 8pm on Channel 4.